I'm starting a new series every Thursday for however long I feel like doing it. It is called LOA Thursdays. LOA is short for the Law of Attraction. The Law of Attraction is one of The Secrets to living a fulfilling life and getting what ever it is that you want. I want to help inspire those that are interesed in taking control of their thoughts to live their best life. Join me every Thursday, as I share content or thoughts that embody this philosophy. When you truly believe in this concept, it will do amazing things in your life. It has in mine (Shoot I lived in New York City on unemployment for almost 2 years; had money to pay all my bills and still live a little.) and continues to do so. Since this is mainly a hair and beauty blog, I figured I'd kick off the series by talking about how this concept can be used for our hair. We all gave our relaxers the dueces for various reasons. 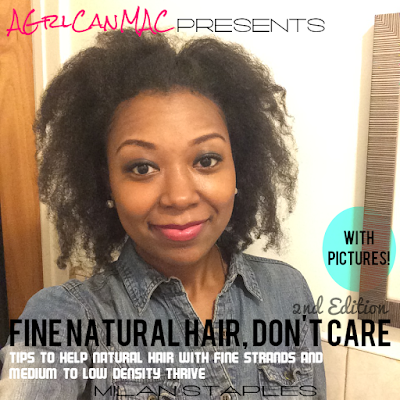 A lot of us we wanted to grow "healthy" long hair without the use of hair texure altering chemicals. This Thursday, I want to inspire you to create a vision board for your hair goals (if you created some for yourself). Whatever you want for your hair, put it on a board; add affirmations on there as well if you like. You can create a physical board on something like poster board or create one on the computer and print it out. Get creative with it! Believe that you will achieve what you included on your board, get excited about it as if you already have it and look at it daily if you can. 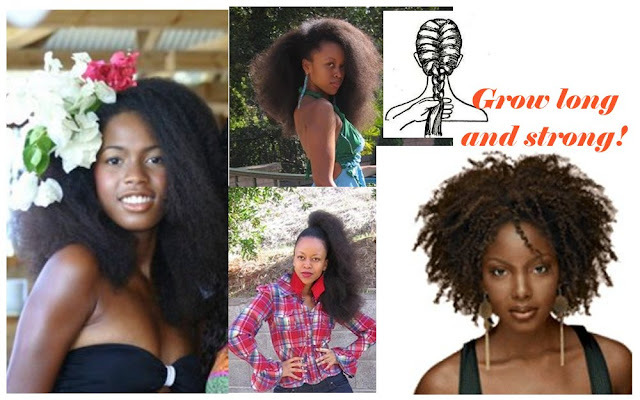 The picture above is the vision board I created for my hair. As you all know, I don't straighten my hair so instead, I put pictures of ladies with awesome blow outs that are my ultimate hair length goal. I also included a picture of how I ultimately want my hair to look in braid outs and twist outs, etc. I included the picture of the french braid because that's how I can't wait to prep my hair for bed each night once my hair is long enough: moisturize, put in 1-2 french braids and go to bed! Simplicity and ease is what I'm striving for. Lastly, the affirmation I put on my board was "grow long and strong". I first heard this statement from LHCF member Cichelle. She grew her hair from ear length to her waist in 2 years and I remember her sharing that outside of taking great care of her hair (and use of protective styling), she told her hair every day to grow long and strong. I may add additional affirmations to my board but I like it like this for now. What are you waiting for? Start creating yours and if you are interested, email pictures of them to me to share on here. Let's inspire each other. If you haven't read The Secret and are interested, get your copy by clicking on the picture below. Amazon has gently used copies for a low as $2. Love, love, love it! I have several photos saved as my screen saver at work so that I can have that daily inspiration when I don't have time to blog. A vision board would be awsome too! I have actually been thinking of doing one for my future and having my daughters do one as well. Great post! I love this idea! I've heard many good things about The Secret. I think I am going to purchase. It's always good to put good energy out in the universe. Not only thinking it but you def. have to SPEAK good things in to your life. Great idea! I have a vision board but never thought of doing one for my hair.